Traumatic brain injury, also called TBI, occurs when the brain is injured by a sudden force, or trauma. The brain can be driven into the side of the skull by a sudden blow, or by the force of shaking or “whiplash”. In either case, the brain can suffer bruising and swelling, and in some cases the impact will be sufficient to tear blood vessels in the brain, causing intracranial bleeding. If the trauma results in damage to the skull itself, such as a crack or break, the trauma is considered a penetrating head injury. More difficult to diagnose are closed head injuries, in which the brain is injured but the skull remains undamaged. This can occur from a blow or impact, or from severe back-and-forth shaking, such as whiplash. Babies and small children can suffer such injuries from being shaken, the so-called “shaken baby syndrome”. In any case of closed head TBI it is necessary to study the symptoms that follow the accident in order to diagnose the condition. Anyone who has sustained a blow to the head or whiplash-like injuries should be evaluated by a medical professional to determine if TBI has taken place. In many cases the symptoms may be so slight as to escape the victim’s notice, but if treatment is not available, further injury can develop. Often the symptoms may be delayed for many hours, until swelling in the brain reaches a point that if affects the victim. 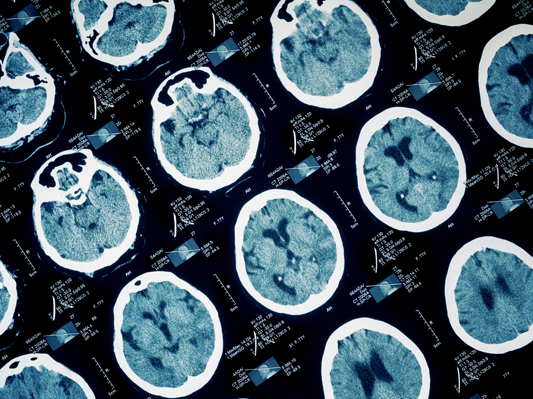 TBI can cause serious, life-threatening events and can result in permanent irreversible damage to the brain. It can lead to paralysis, seizures, blindness, memory loss, impaired communication skills, and many other disabilities. Symptoms may be as obvious as coma or as subtle as a change in emotional behavior. TBI can have a profound effect on quality of life, including inability to work, inability to interact socially and within the family, loss of normal body skills, etc. Time is often not on your side, it is imperative you take immediate action as soon as possible, so please call us today for a free legal consultation and case analysis. If you or a loved one is in need of legal assistance, call John D. Giddens at (601) 355-2022 or Toll Free at (888) 335-2022. The initial consultation is free of charge, and if we agree to handle your case, we will work on a contingency fee basis, which means we get paid for our services only if there is a monetary recovery of funds. In many cases, a lawsuit must be filed before an applicable expiration date, known as a statute of limitations. Please call right away to ensure that you do not waive your right to possible compensation. John D. Giddens Law Firm has built an exceptional reputation throughout the state of Mississippi for relentless pre-trial preparation, case investigation, and use of the latest technologies resulting in many significant jury awards and verdicts. Unlike many law firms, John D. Giddens Law Firm limit their legal representation to only a few serious brain injury cases and death claims per year. This is enables their legal experts to focus the most time and resources on each case in order to yield the best possible results for their clients.